Yeh Rishta Horrifying moments. Naksh feels like his fate is very ill since his birth. He tells Kartik that Naitik met with a major accident when he was young. He gets the flashbacks of the bad memories and feels scared. He tells him that this has happened with him again after Kirti’s accident. He didn’t wish Kirti to suffer because of him. He feels guilty. He wants an answer for the mishap. Kartik consoles her. Manish feels upset that he has let Kirti go for the trip. He cries that he couldn’t understand his mum’s intuition and stop Kirti in time. Manish shares his pain with his brother Akhilesh. They both cry and feel sorrowful that they went against Dadi again. They didn’t wish this injustice to happen with Kirti, who has never hurt anyone in her life. Naira prepares a surprise for Kirti’s birthday. She wants to keep all the arrangements ready. Naira calls up Kartik and tells him that she is planning the theme of Kirti’s birthday surprise. She asks him to give her advice and solve her problem regarding the floral arrangements. Kartik gets saddened hearing her nice planning. She asks him where is he right now. He doesn’t tell her anything. She asks him to keep clarity and inform her if there is anything. Kartik doesn’t know what went wrong with them that they had to see this day. 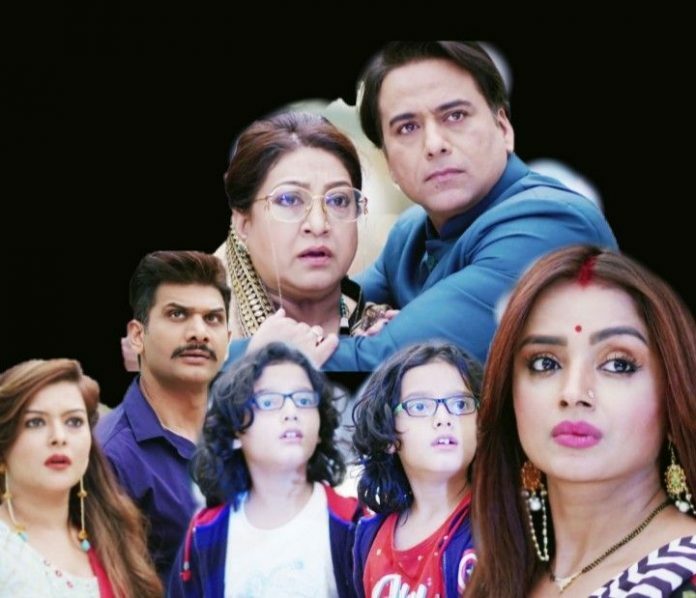 Bhabhimaa and Devyaani regret to send Kirti away from the home. They didn’t wish this to happen. They make a video call to Dadi and make her see Kirti’s state. Dadi break down seeing Kirti. Naira gets worried seeing Dadi’s tears. Suwarna tells Naira that Dadi was sensing some bad omen and is crying in fear. Naira doesn’t know what are they hiding from her. Naira learns that Kartik isn’t at the hospital to meet her doctor. She finds Kartik lying to her. She gets to see Naksh and Kirti’s accident news on tv and misses to see them. Dadi and Suwarna rush to see Kirti at the hospital before Naira realizes their absence at home. Doctor finds the entire family present. He tells them that Kirti’s state isn’t recovering, but her baby is fine in her womb. He tells them that they can stay positive since Kirti isn’t facing more complications. The family gets happy to know that the baby is fine, but they horrified with the thought of losing Kirti forever. Naksh tells Kartik that nothing should happen to Naira. He asks Kartik to control the situation in Naira’s case. He doesn’t want Kartik to tell anything to Naira. He asks him to go home to Naira and be with her. Kartik knows that things will get fine. He prays that Kirti gets fine and fools the ill fate. He turns up home, being mindful of his behavior so that Naira doesn’t doubt on him. She asks him the reason for his fake smile. She seeks an answer from him. 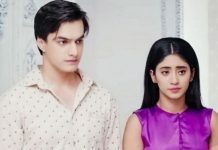 Kartik fears of Naira’s critical stare if she learns about Naksh and Kirti’s accident. He hides the matter from Naira. Naira wants to know why is everyone behaving so weird. She asks Kartik if he won’t talk to his baby today. Kartik isn’t in right frame of mind. Naira tells him that baby is either excited or scared, that he is kicking so much. He assures her that everything is fine.